Iconic Chanel No. 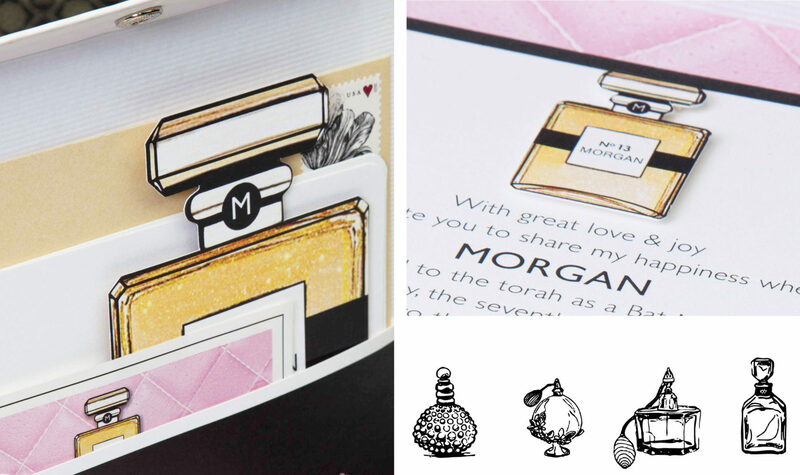 5 packaging set the tone for this sophisticated celebration. 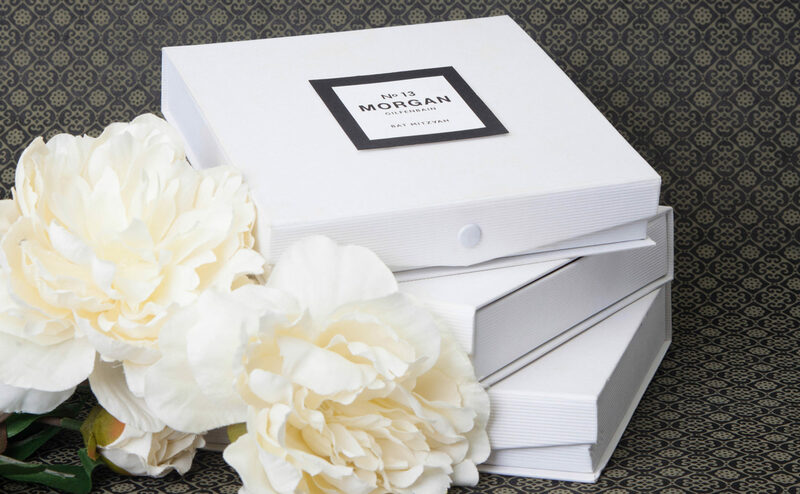 The luxury fragrance theme is carried over in custom snap boxes covered in a textured stock and tipped-on logo. 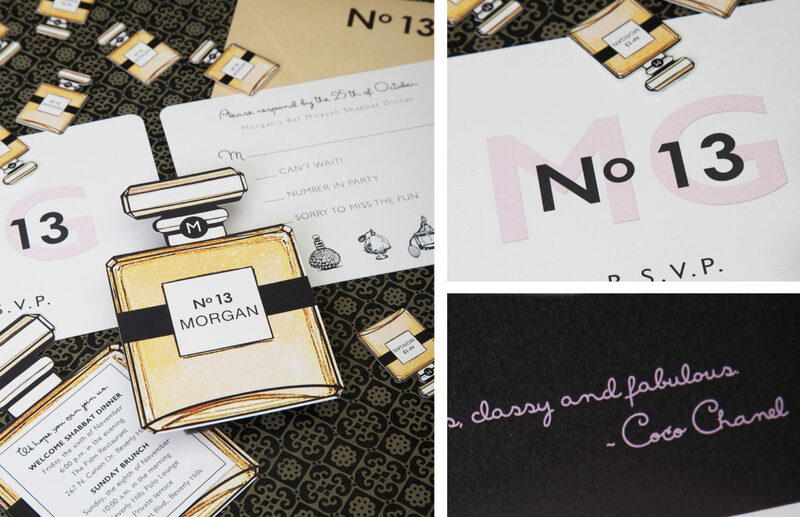 Inside, guests discover a treasure trove of stylish designs, custom illustrations and the invitation suite tucked inside an attached pocket, including event cards, responses and a gold reply envelope.